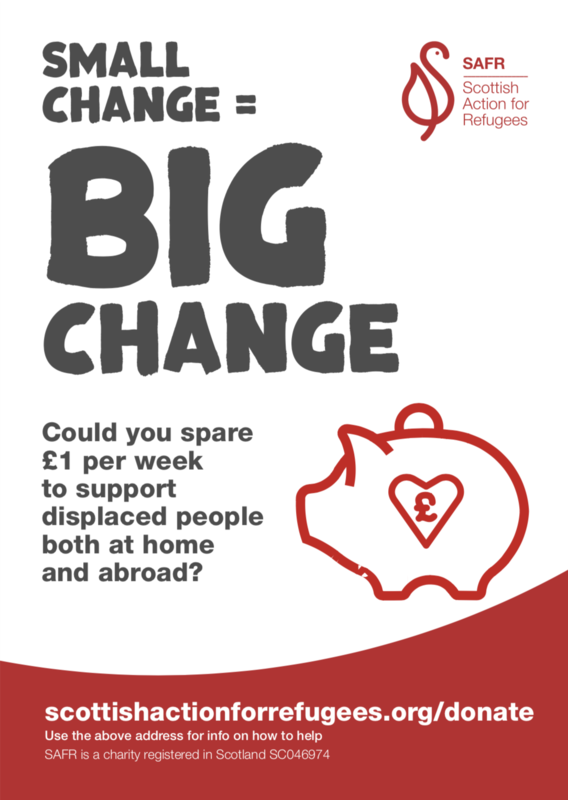 We are a small, grassroots organisation whose purpose is to provide practical assistance, both in the UK and abroad, to persons fleeing their home country due to reasons of war, famine, persecution or poverty. We organise collections of warm winter clothing, school supplies and personal care items which are delivered to refugees in mainland Europe and Syria. It is our aim to work closely with other organisations for maximum usefulness – we hate reinventing the wheel. We encourage ordinary folk to do the one thing that they can do to help, however small, because we know how all those small things add up. SAFR also aims to provide friendship and support to refugees in Glasgow. We have a small community hub in Govan, which dispenses tea, chat and help with practical things like learning English, filling in forms and navigating a new city. SAFR are just a bunch of ordinary people doing our wee bit. If you have a wee bit to offer, then we would love to hear from you.